Everest FAQ Manager Lite is a perfect plugin if you want to showcase FAQs. Now, showcase your key business FAQs in our 5 stunning beautiful layouts including background color. No coding needed! Just 5 minutes setup and configuration! Works perfectly with all ‘well coded’ themes! * 5 different layout to choose. * Add up to 7 FAQs items for each FAQ Post. * Configure the FAQ items individually with various dynamic css options. * FAQs item sorting option. * Easy usage via Shortcode and widget. 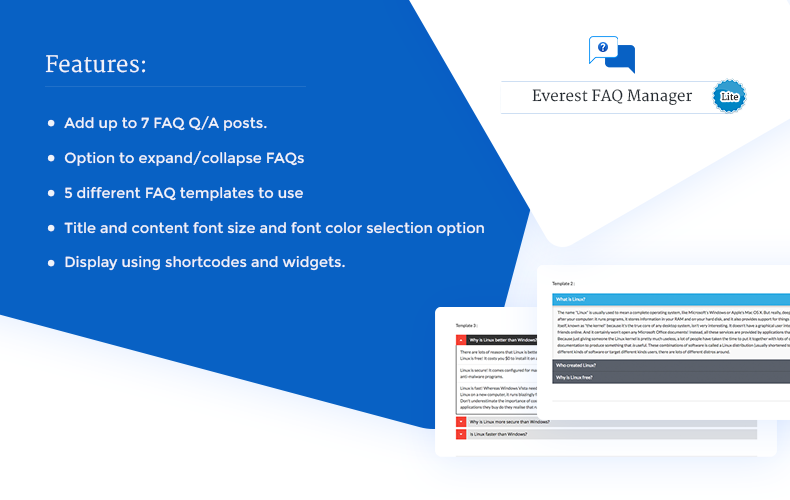 Hey Buddy!, I found this information for you: "Beautiful FAQ Plugin for WordPress – Everest FAQ Manager Lite". 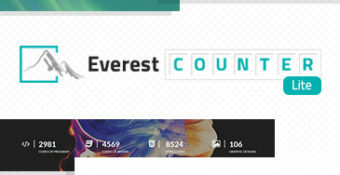 Here is the website link: https://access-keys.com/wordpress-plugins/everest-faq-manager-lite/. Thank you.